We are overwhelmed and excited about the number of people who have reached out and joined us in our effort to promote a consistent ethic of protecting all life. Since the convention, we have been really busy trying to respond to all the requests and interest in getting involved. Please be patient if you contacted us; we will respond to every request! In the meantime, we wanted to share some of the additional press we received during and after the Democratic National Convention. Some of the articles do a great job highlighting the need for more Pro-Life Democrats. Others rightly point out the very difficult, uphill battle we’re facing. As we’ve said before, we have a lot to be optimistic about. But, we have to remain strong, we have to remain consistent, and we have to keep fighting. Our numbers are growing, and we’re receiving more and more requests for information on the website. Our message resonates with the American people. Don’t let anyone tell you that our efforts are worthless. Pro-Life Democrat Gov. Edwards: We Like to Say We’re a Big Tent Part, but the Platform is Getting Smaller and Smaller. Finally, we existed due to the generosity of our donors. If you would consider a $5, $10 or $50 donation, we would greatly appreciate your support. Click here to make a contribution. Click here to make a contribution to our "Open the Big Tent" campaign. Yesterday in Philadelphia, Democrats for Life of America released its anticipated report titled "Open The Big Tent". The report outlined how to make room for Pro-Life Democrats& achieving party goals nationwide. Since President Obama first won office in 2008 Democrats have lost 912 state legislative seats, 30 state legislative chambers, 11 governorships, 69 U.S. House seats and 13 U.S. Senate seats. Republicans now control 66 of 99 state legislative chambers. The Democratic Party finds itself at a crossroads. Below is our report on how we can turn this around, by having the national party embracing pro-life Democrats from all accross the nation so we do not remain just the party of the northesast and west coast. 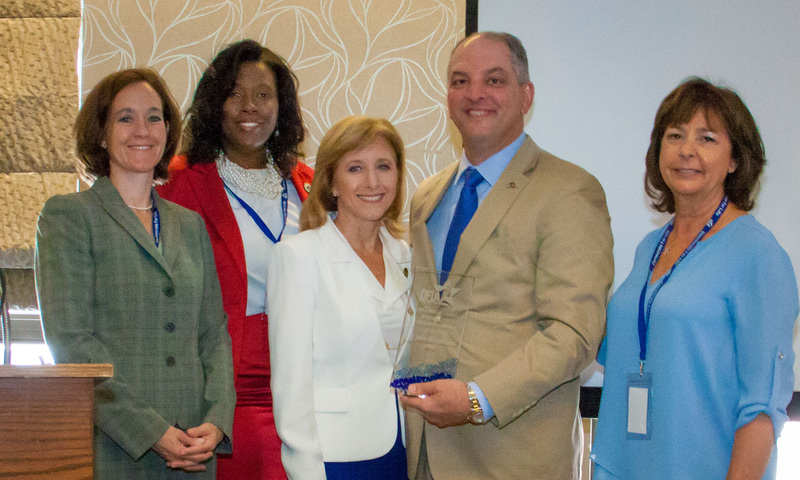 Washington, D.C. – Democrats For Life of America released its report, “Make Room for Pro-Life Democrats and the Party Wins” and honored Governor John Bel Edwards with the Governor Casey Whole Life Leadership Award during a special reception at the Democratic National Convention today. One-third of Democrats are already pro-life, and most Americans in the middle support pro-life policies like the ban on federal funding for abortion. Nonetheless, the Democratic Party keeps rejecting its pro-life base in favor of extremist positions, further alienating Americans and risking the future of the country. Since 2008, when it abandoned the campaign strategy that allowed for supporting pro-life candidates, the Democratic Party has lost 912 state legislative seats and the control of 30 state legislative chambers, 69 US House seats, 13 US Senate seats, and 13 governorships. Edwards won in Louisiana in large part because he is pro-life. Democrats can take victories from Republicans by embracing whole life ideals and the voters who support that vision. Instead, they have been on the wrong path since they prevented Gov. Robert Casey from speaking at the 1992 national convention because he was a staunch pro-life leader who wasn’t afraid to buck his party in order to stand for his principles. Excited! Rep. Katrina Jackson to attend DNC event!